I am very excited about the fact that this year again my delicate sewing thread doilies have been awarded with Standard of Excellence and 1. 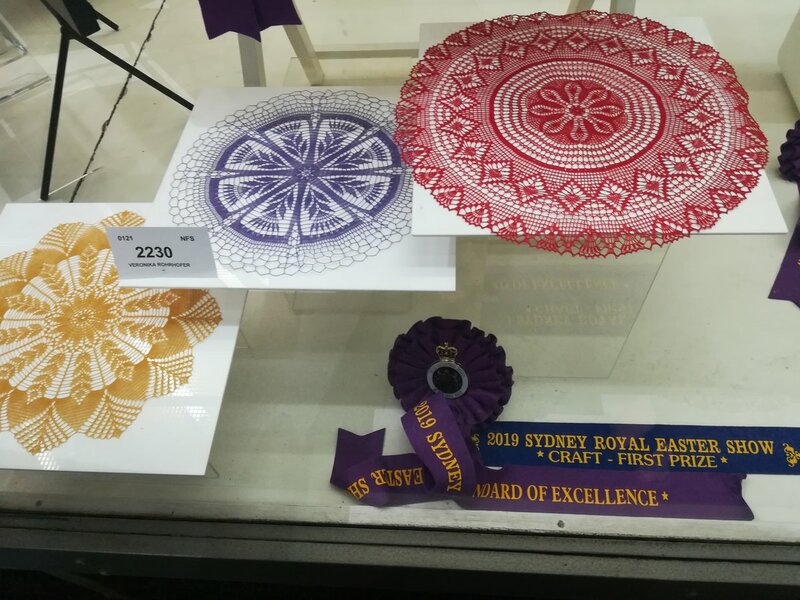 Prize at the Royal Easter Show in Sydney which opens this Friday. Congratulations but not surprised as you do such beautiful work. Congratulations! Your work certainly deserves the honor.